The rock has earned a bad reputation with drivers, and the owner of Oil Country Towing has his own nickname for it: "The money-maker." 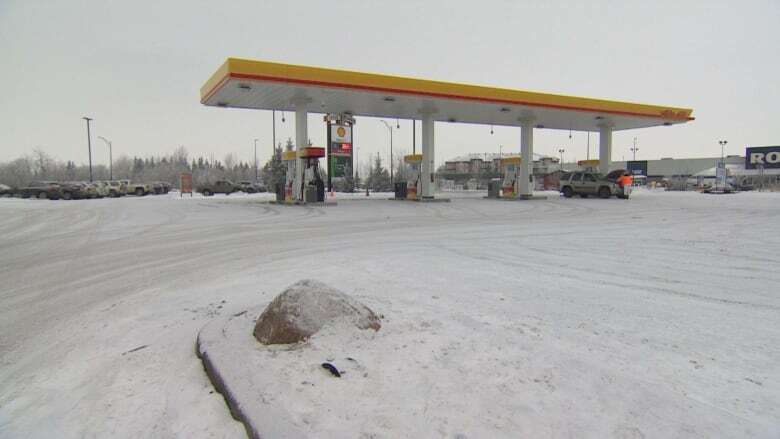 Under a light dusting of snow, a dark grey boulder blends into the winter landscape of a Leduc parking lot. It can be tough to spot until you're basically on top of it. And that's the problem. The rock has earned a bad reputation among drivers, and the owner of Oil Country Towing has his own nickname for it. "The money-maker," Don Getschel said. 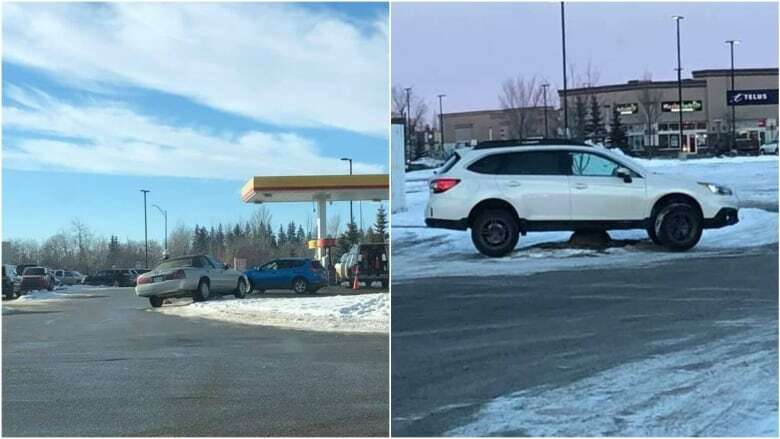 Tow truck drivers say cars, trucks and trailers are constantly getting stuck on the boulder that sits beside the Shell gas station in Leduc Common. It has been there at least since 2011, Getschel said. That was the year he moved to the city and started his business. One of his first calls in the winter was to tow an elderly woman's vehicle off the rock. These days, his towing company is called to the rock about twice a week. Sometimes tow truck drivers fuelling up at the gas station can watch as yet another driver gets stuck on the rock, he said. 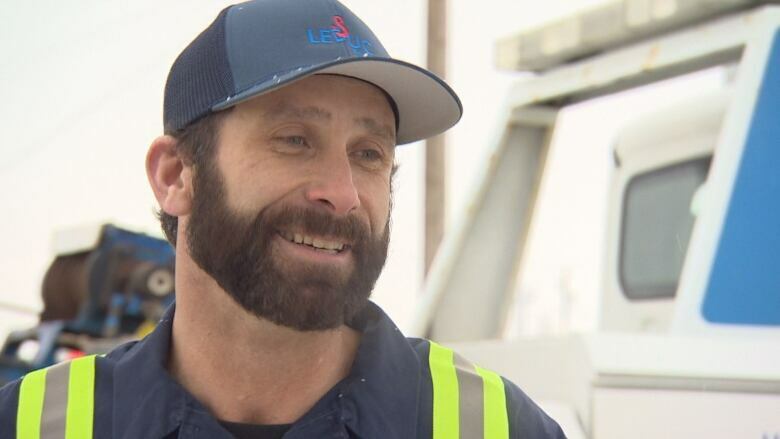 The problem seems to happen when drivers turn right into the gas station too sharply, or are otherwise distracted, said Ryan Dunlop, a tow truck driver with Leduc Towing and Recovery. It's something tow truck drivers share stories about, said Dunlop, who towed someone off the rock last week. Aside from having to fork out $130 for the tow, getting stuck on the rock can wreck a vehicle. RCMP say they're not aware of any concerns related to the boulder. Leduc Common is managed by Edmonton real estate business Melcor. Property manager Shirley Osborne said such boulders are common in parking lots and are there to prevent damage to the curb. She said she hasn't heard of any issues with this particular rock and there are no plans to remove it. But boulders like these have caused similar problems in other parking lots. Two years ago, drivers couldn't seem to avoid a large boulder in a suburban Calgary parking lot. 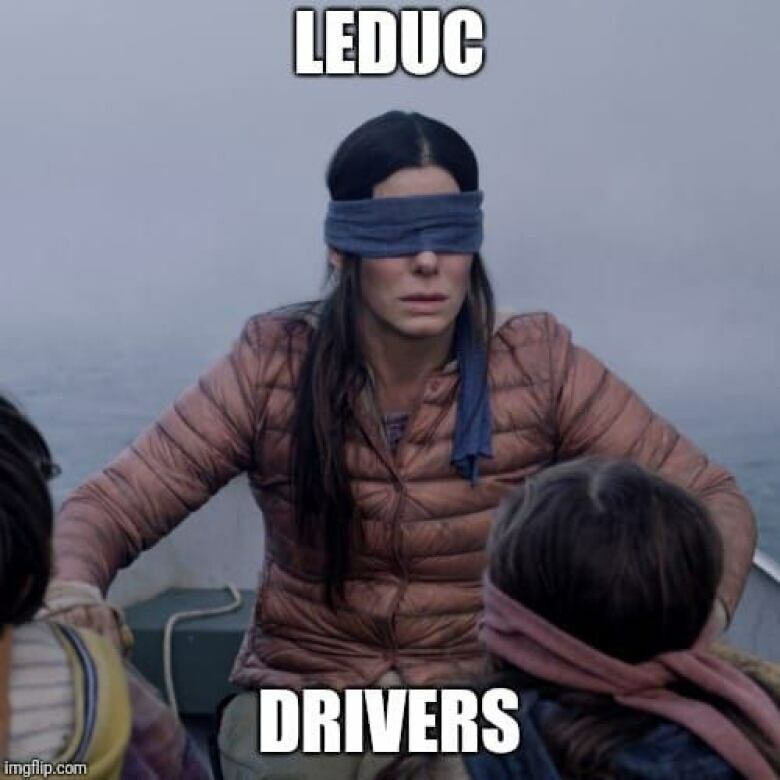 The Leduc rock has become something of a legend, with some Facebook users praising the boulder for doing its job and admonishing drivers for not doing theirs. "You should named your car paper," Rob Stanton said under a picture of a Subaru SUV stuck on the boulder. "Need a few other rocks as a protective barrier to protect this rock," David S. Gladden chimed in. The tow truck drivers say a flag or sign to mark the rock could cut down on the number of accidents. And sometime Wednesday, someone did put a makeshift barrier around it — a bright orange traffic cone and a plastic post, also orange. Shell gas station manager Jasmine Dhillon said people who have been stuck on the rock have marched inside to complain, but the gas station can't do anything about it. The closest the rock ever came to being removed was in November last year. "There was this one truck that dragged the rock all along the next parking lot and then just left it there," Dhillon said. "It was [back] here the next morning. I don't know how."